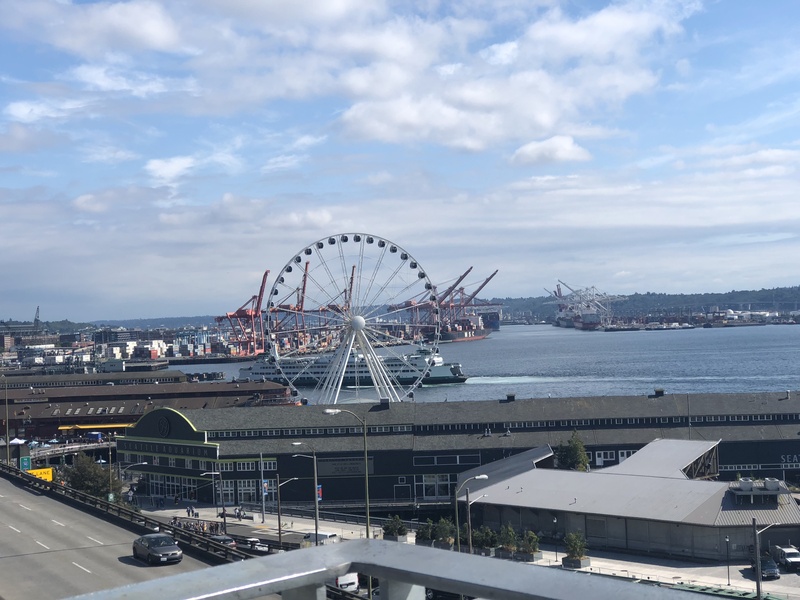 My trip to Seattle, Washington, although I was there four days, was mostly packed with a work conference, but I found time to explore during lunch and in the evening. It’s going back on the list of places to travel because I didn’t feel like I truly experienced everything I wanted to while I was in the city. With limited time, I went to the touristy and obligatory spots. Starting with Pike Place Market, one of the oldest farmers markets in the U.S, on the waterfront of Elliot Bay. It was a short walk from the hotel I was staying at in downtown. Walking through the crowded market my eyes didn’t know where to look first. 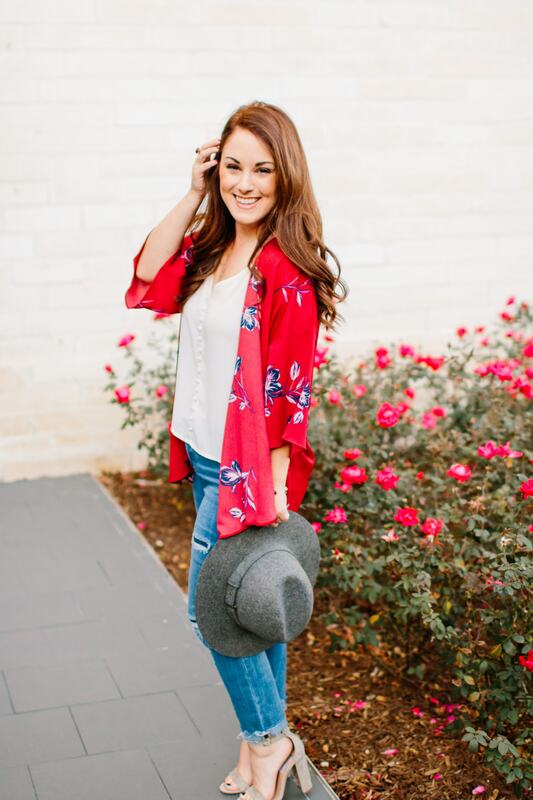 I was probably most enamored with the fresh flowers. I imagined that if I lived down the street that I would have fresh flowers covering ever surface of my apartment. From beautiful local art, to fresh fruit, to a culinary surprise around every corner I could have spent days in this market. After smelling all of the flowers, I stopped to buy an apple at vendor who was happy to pick out the perfect one for my snack. From there I walked to the pier and found an empty seat at a table overlooking the water, where I sat and just people watched for what seemed like hours. To my right was a photographer and his model capturing the beautiful background of the bay and to my left a family of four also enjoying the views and a special sweet treat. 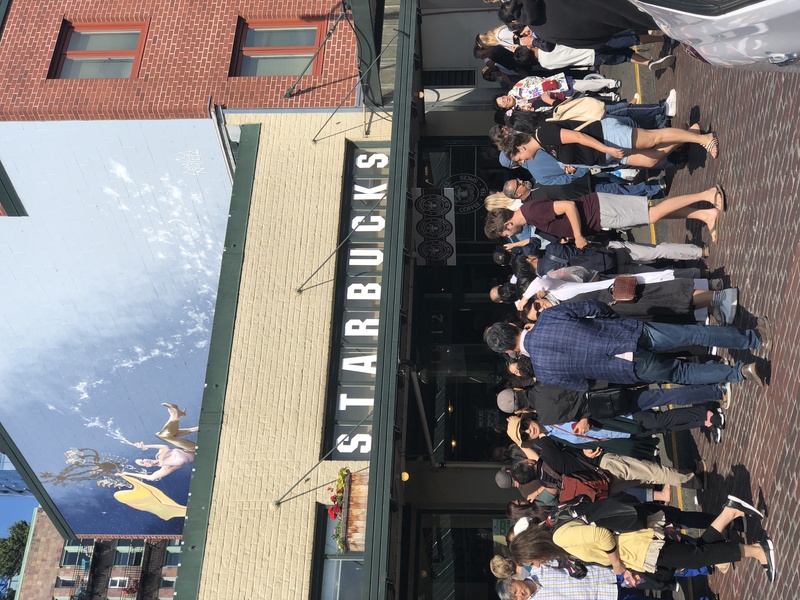 From this photo above you can see the chaos outside of the original Starbucks. I can’t say I TRULY experienced the coffee house, but standing across the street was enough of an experience and with a snap of this picture I checked it off my list. 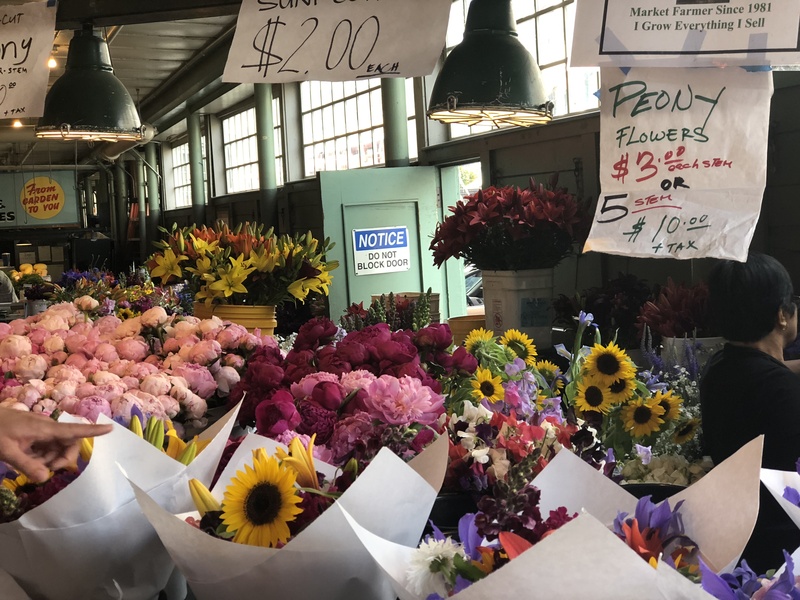 Next time I’m in Seattle I will go back to Pike Place Market, but maybe on a self guided tour and plan to spend at least half a day wandering through the market, well probably eating my way through the market is more accurate. One thing to note is that although I walked, the Market does have a public parking garage with easy access to the market. 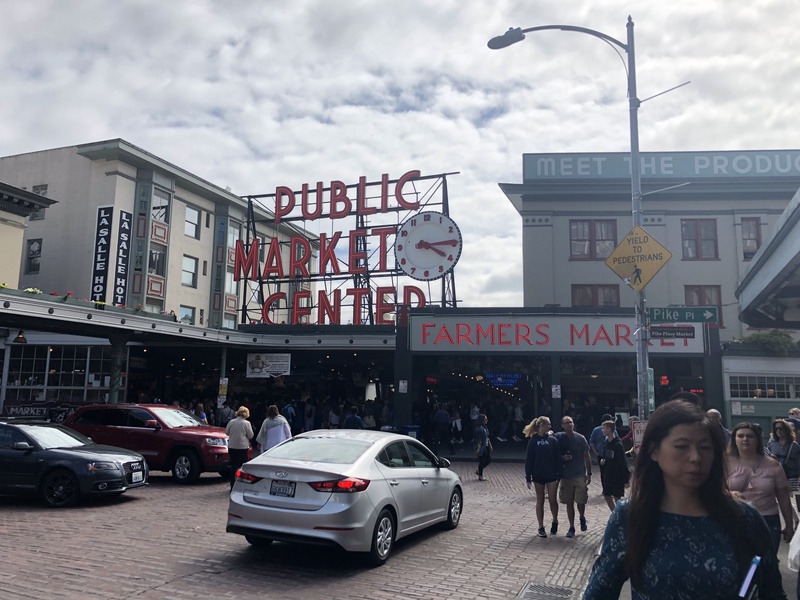 Once you are close to Pike Place Market be cautious because there are pedestrians everywhere and they have the right away. On my walk back to the hotel I stumbled across one of my childhood favorite candy stores. As a child See’s Candy was king in our house and every holiday, birthday or special occasion was marked with a box of See’s Candy. I probably squealed like a little girl as I ran through the doors of the shop, where I quickly purchased chocolate covered cherries for my mom and a box of chocolate mochas for my dad and I. I will confess that the boxes were a little light on the plane ride home. Great trip overview. Sounds like fun!